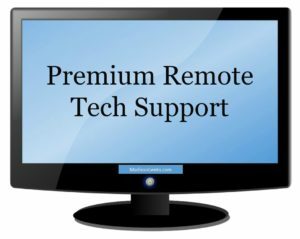 A number of computer problems at your business or home can be cleared up by using reliable and trustworthy remote support. Imagine you're sitting at your computer working on an important project and suddenly your work computer freezes. You can’t work on or send out any of your files. We can remotely access your business computer to help you. We will safely and securely connect to your computer at your business and help you with whatever computer problems you may have. As long as you have an internet connection, we can access your computer. Contact us and one of our local technicians will help you setup, configure, install, or tune-up your computer remotely. You can actually sit back and watch as our Geek technicians diagnose and fix just about any PC problem. Our remote service is available for an hourly fee, so you pay for it as you need it. It's like having a Geek sitting right in front of your computer doing their work. Email account setups and maintenance training. Online training on many software applications. Setup printers, storage devices and other peripherals. Remotely diagnose and speed up your machine. Our Geek scheduler will get a credit card payment information and schedule a technician. Our technician will contact you over the phone at the scheduled time when you are at your computer and logged into a web browser. The technician will give you verbal instructions or over email to open a browser and download a secured remote access program. They will ask for some connectivity information that will show on the screen. You control the access that allows them to remotely connect to your computer over the internet over a secured connection. You can see them login on your computer screen and watch them work to fix your problem. Use us when you need us. You can also bring your computer to our shop and receive help from our technology experts. We are A+ rated by the Better Business Bureau. Madison Geeks are the choice for small to medium sized businesses and growing companies along with residential customers requiring remote support or on-site support. Not all issues can be handled remotely. If your computer has a hardware issue or hardware failure we can help if you live in the Madison, Wisconsin area. Either on-site or in our shop. Contact us for more details, we can help.